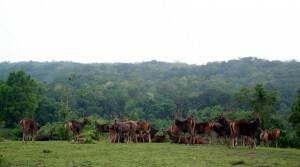 Phu Khieo Wildlife Sanctuary is the largest protected area in the east of Thailand. 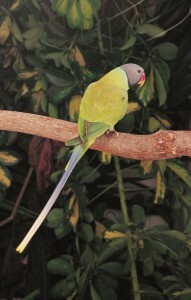 It has immense value for its biodiversity, which includes rare species such as the Asian elephant, the Asian tiger, the Asian wild dog and a variety of birds, including parrots like Finsch’s Parakeet. Loro Parque Foundation responded enthusiastically to the request for support from the Royal Palace in Thailand, and contributes to the conservation of this natural paradise of 1,563 square kilometers, under the patronage of King Bhumibol. Protect the sanctuary in collaboration with the Department of National Parks, Wildlife and Plant Conservation of Thailand. Improve the management of the sanctuary for efficient protection of its territory, flora and fauna. The management is comprehensive and interdisciplinary, as it includes research about birds, updating the inventory of wildlife, natural resources mapping and optimization of management protocols. The staff training has also been a key point, as well as training in sustainable agricultural development in the surrounding buffer zone. Phu Khieo sanctuary has acquired over the years an efficiency unthinkable at the beginning of the project, with a management that improves daily in terms of the protocols for patrolling, monitoring and management of resource databases. In addition to incorporating new patterns of work, it has provided the necessary training for staff to operate independently. For the rangers, there has been a major training programme in the field itself, where more than 150 rangers have improved their skills in the identification of rare plant species, vegetation types and modes of patrolling. In the surrounding areas we have worked with farmers to promote sustainable agriculture and use of resources. Bamboo and sweet leaves have been the star species to promote in agriculture, and are already yielding good results, thus avoiding illegal and harmful use of natural resources in the sanctuary.